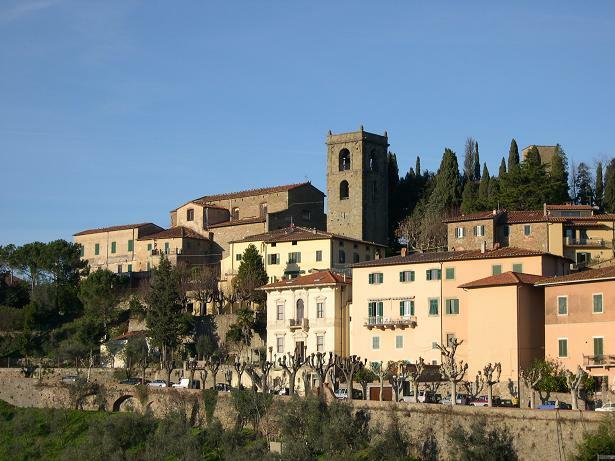 During my first visit to La Toscana, I spent a lot of my time in Montecatini Terme. That was great, but there is so much more to see, that I would really have done myself a disservice if I hadn’t ventured out and about. Lucky for me, there was a town just up the hill. Really, it was at the top of a big hill from Terme. 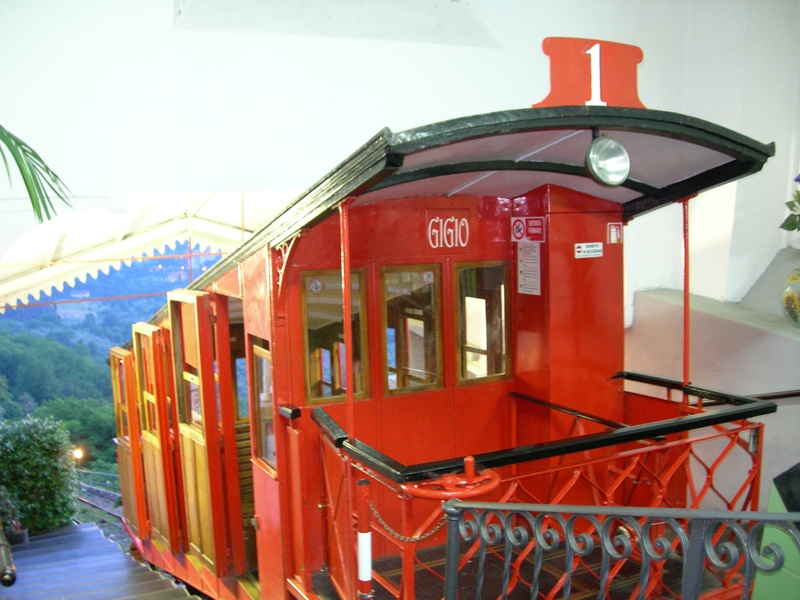 The funicolare is a tiny little train car that looks like something out of an amusement park. It rolls up and down the hill by cable lines. This thing runs on the same cable lines that date back, probably, 50 years or more. Scary, but totally worth it! Montecatini Alto is a tiny little town with the important things like some great ristoranti, a great little place for gelato (of course) and even a disco. There is also a beautiful old church and the ruins of a castle that you can wander through. Along this little side street I kept an apartment for a month or so. It was just in front of the church, so I got to hear the bells toll every morning when the sun came up. It was romantic in a chick-click sort of way, and I loved that apartment! 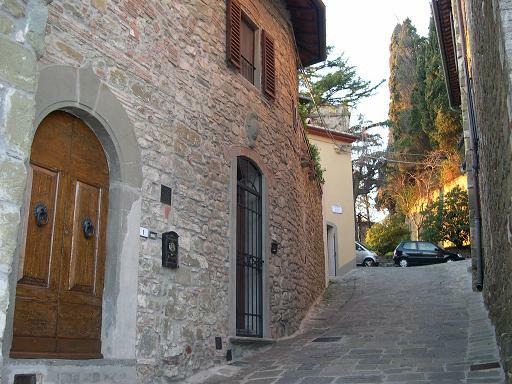 But after a while of being up on top of this giant hill, you realize how much work it is to take the little train to shop or do laundry at the bottom in Montecatini Terme. It became a little much work for me, plus I was totally secluded from the rest of the world with a bunch of old folks and some tourists. Got old real quick. I still think it’s an awesome little town, just don’t want to live up there. 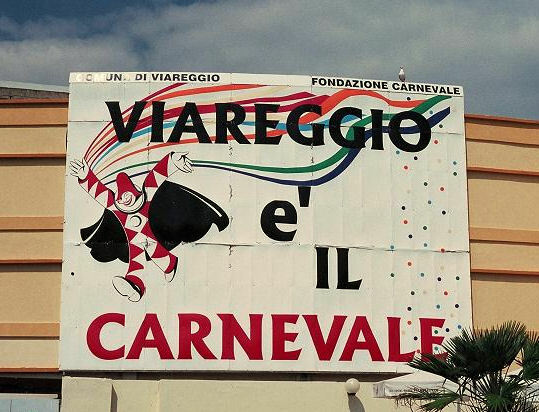 Viareggio is a sea-side town where folks go on weekends after they’ve gotten dressed to the 9’s. They really do! You should see how amazing these people look just to go out for a stroll along the boardwalk. It’s like watching an Armani runway show. I’m not complaining though, as the men, in particular, look phenomenal! This part of the European culture I still don’t understand, but I totally appreciate. I mean, in America we don’t do that. Or maybe it’s just me that doesn’t. 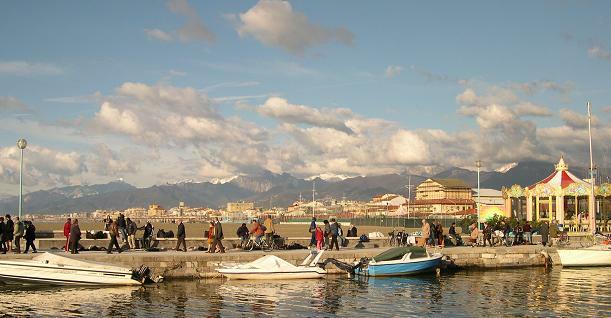 Anyway, Viareggio has lots of great clothing and fashion shops that run along the beach front. I have shopped at the Benetton here a million times! In fact, this is the shop where I bought my favorite Benetton denim jacket. 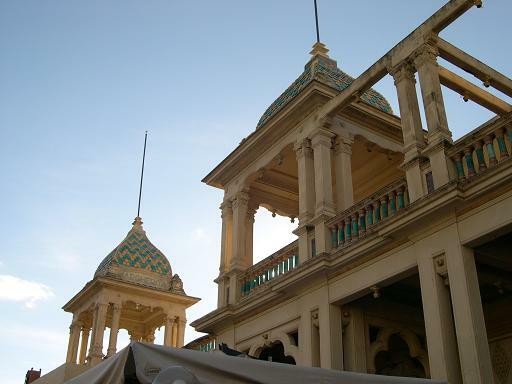 swoon♥… There are also a good number of restaurants, theatres and amusement for the kids. If you’re lucky, you may even catch a couple of guys break dancing on a big cardboard flat for tips. I was indeed so lucky, and it was like flashing back to 1984, only cooler. 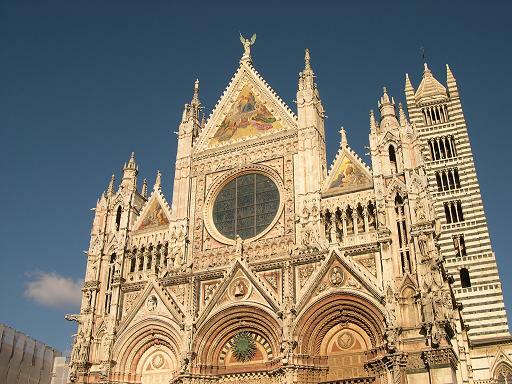 Oh Siena! How I love you! Siena is the most amazing Tuscan city I have ever been to. I was, and still am, so completely in love with this city that I could stay there for just about ever. Twice a year in the Piazza del Campo the city holds horse races that date back to Medieval times. These races determine which ward of the city is the tops. 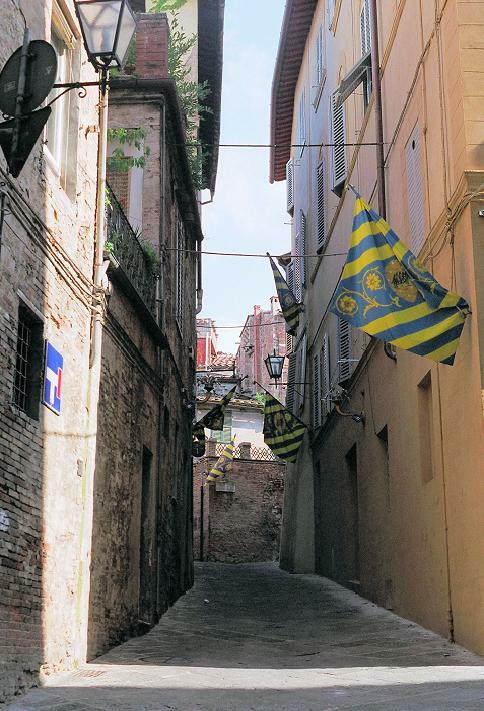 The winner of this race then gets its flag displayed throughout the town. It’s good fun, at least that’s what I hear. Unfortunately, I have never been there during the races. I usually just missed it or got there the week before. 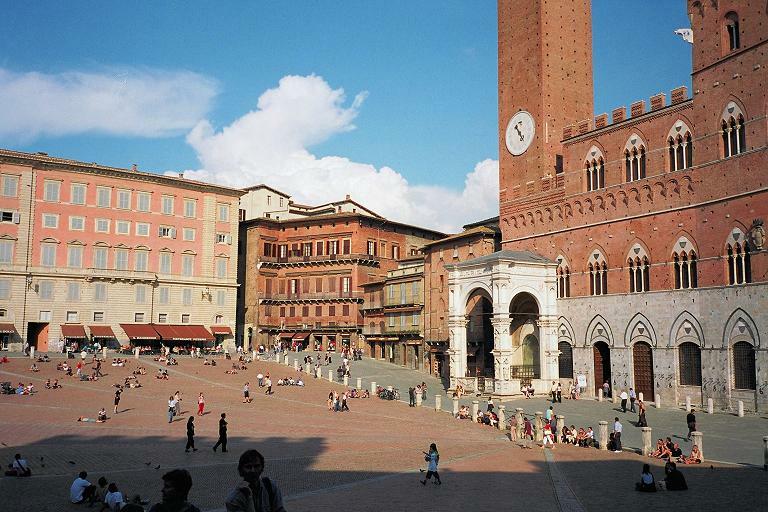 One time when I was in Siena, there was a wedding going on. The bride was stunning! There were all of these people gathered around and everyone seemed like they were having the time of their lives. I recall thinking how fabulous it would be to have your wedding in such an amazing place. Then I noticed that the bride and groom were walking in the direction of the Torture Museum. Ha! Hope that wasn’t any indication of where their marriage was heading. 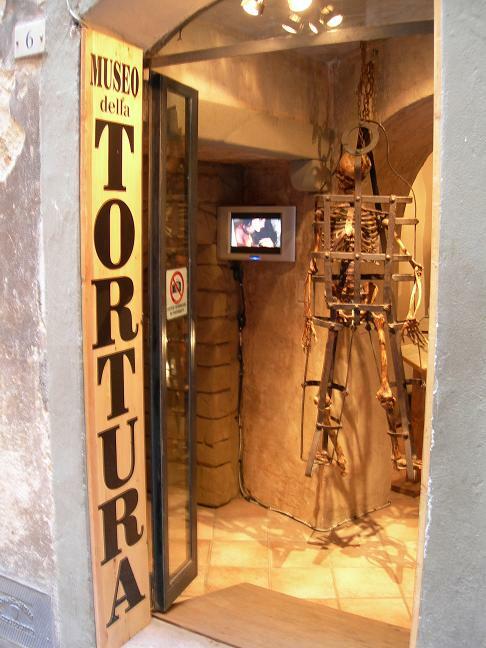 But really, how could you not love a city that dates back to Medieval times, has awesome gelato, is completely fiber optic wired AND has its very own torture museum? It’s a no-brainer! I’m nearly through that first trip! I still need to tell you about Florence and Pisa. But most importantly, I still have to share a few pics from that infamous cross-processed and re-processed roll of film. I’m thinking that if I work a little magic, I can get some pretty great photos from that roll! Maybe later after American Pickers. 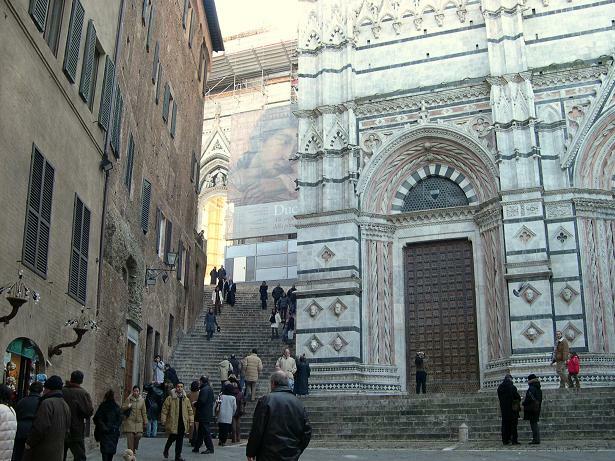 This entry was posted in Italy, Touristing and tagged Benetton, denim jackets, funicolare, gelato, il Duomo, Italia, Italy, Montecatini Alto, Montecatini Terme, Museo del Tortura, Piazza del Campo, Siena, Toscana, Tuscany, Viareggio. Bookmark the permalink. 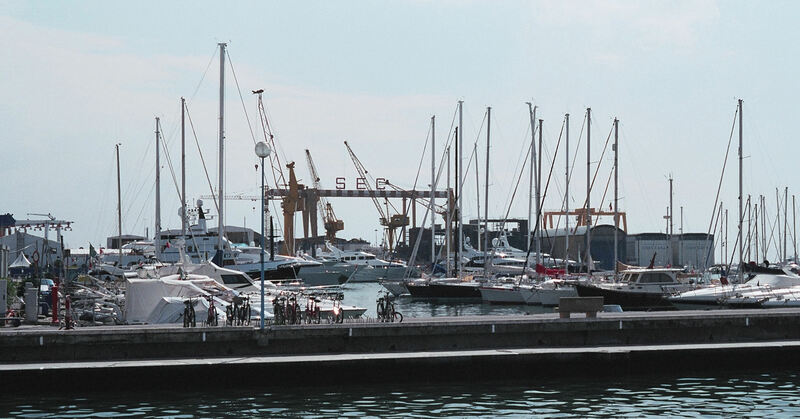 Lisa, you and I should take a trip to Pescia and make the rounds!